After being blessed with a week of nice weather, this week we were given a dose of bad weather. Which gave me a perfectly good excuse to stay indoors and test out some new recipes. This recipe happened because I had some broccoli that expired yesterday and rather than throw it out, I made some soup. This soup recipe is by no means my creation but inspired from Diethood.com’s Panera inspired recipe. I switched the plain flour and made mine with coconut flour. For the stock, I used a freshly made chicken bone broth recipe that I threw together. Recipe is also below. Hope you enjoy this soup as much as I have! Melt 2 tablespoons butter in a large saucepan or soup pot. Add onion, garlic, carrots, and pinch of salt; cook over medium-low heat for 5 minutes. Melt rest of butter in a medium heat pan, then turn off and put in a mixing bowl. Whisk in flour; whisk until incorporated. Slowly add milk and continue to whisk until everything is well combined and there are no clumps. Whisk in bone broth, add bay leaf, and turn up heat to high; bring soup to a boil. 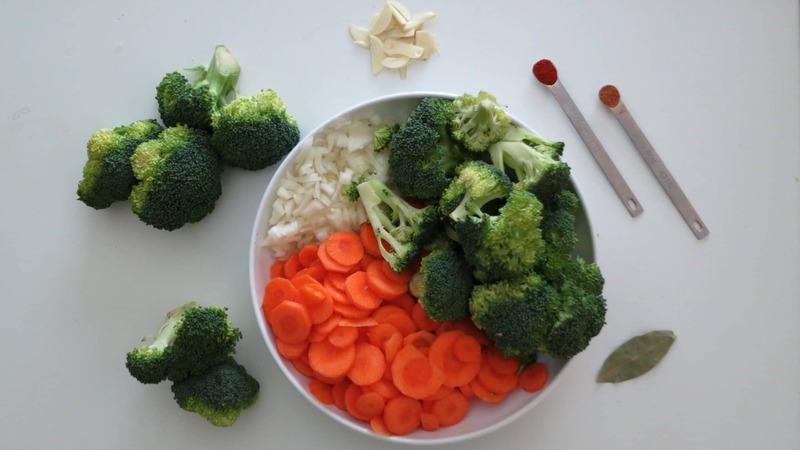 Add the broccoli florets, season with salt and pepper, and cook over medium heat for 20 minutes. 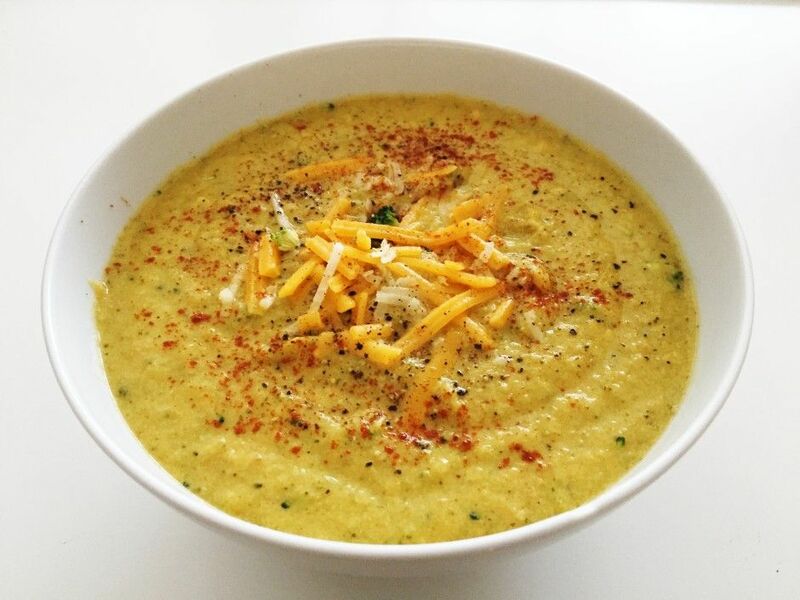 Pour batches of soup into a blender or use a sick blender, and puree. Return soup to the soup-pot; continue to cook over low heat and add the grated cheese; stir until melted and completely combined. Stir in the paprika and nutmeg. If you have the time to make broth, here is the recipe. If you are short on time, use ready made stock or stock cubes. Throw everything in the pot. Pour enough filtered water until it covers the bones. Let everything cook for 2-3 hours.